While the Ceylon Workers Congress and several other plantation unions signed an agreement with the Estate Owners Association(EOA) to increase the basic daily wage to Rs.700, from the current Rs.500 in Colombo yesterday, some workers protested in several parts of the country, demanding Rs.1000. The unions not satisfied with the solution to their grievances, demonstrated opposite the EOA in Rajagiriya and other areas such as Bogawantalawa, Hatton, Baddulla and Kandy, warning that they would not rest until their demand of a Rs.1000 daily wage was met. The protests led to several roads being closed, at the time this edition went to press. Secretary of the Labour Union Collective S. Ramanadan accused the EOA of cheating them. Under the agreement reached between the EOA and several plantation trade unions, the Price Share Supplement, would also been increased from Rs.30 to Rs.50.When EPF and ETF dues are added, the total daily wage would come to Rs.850. Plantation Industries Minister Navin Dissanayake said that rupees 100 million from the Tea Fund, would be utilised to settle the arrears due to the workers. Sri Lanka's publicly traded commercial farms which grow tea, rubber and oil palm, saw prices fall after a new pay deal which industry spokesman said may increase wages by 350 million to 450 million a year on average for each company. The regional plantation companies announced a collective agreement with trade unions over the weekend which will raise the daily wage of a plantation worker from 500 rupees to 700 rupees. Voting shares of 10 of 18 listed plantation companies fell Monday. Talawakelle Tea Estate share fell 6.39 percent or 3.70 rupees to 54.20 rupees. Hatton Plantation shares fell 60 cents to 7.20 rupees, Bogawantalawa Tea Estates down 70 cents to 12.90 rupees and Balangoda Plantations down 1 rupee to 16.20 rupees at Monday's close. Plantation companies which currently have on average around 7,000-8,000 workers each, are expected to pay out an extra 350-450 million rupees annually after the pay deal, a spokesperson for the Planters' Association which represents estate managers said. The twenty plantation companies, employing around 154,000 workers, may have to pay up to 9 billion rupees more in labour costs under the new agreement, the association said. Eighteen are publicly traded. The latest agreement was signed at 11am Monday. Unions had initially demanded 1,000 rupees in daily wages. Some unions had blocked roads in plantation areas in protest on Sunday and Monday morning, demanding the 1,000 rupees. In the previous deal, workers got a basic salary of 500 rupees, an attendance allowance of 60 rupees, a productivity incentive of 140 rupees and a price share supplement of 140 rupees. The new deal has 700 rupees in basic salary, and 50 rupees price share supplement. A worker would also get 40 rupees for every extra kilo plucked above the 18 kilogramme 'plucking norm' of the field, up from 28.75 rupees in the earlier deal. The farms grow a mix of crops including, tea, rubber, oil palm and coconut. Tea is the most labour intensive. There were some concerns that incentive payments aimed at boosting productivity and attendance had been dropped. Children of plantations worker families are leaving the sector to areas including services where labour is scarce or there had been productivity gains and pay is higher. 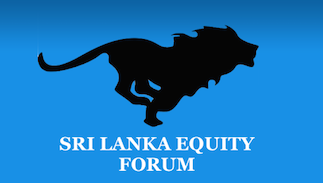 Sri Lanka's rupee had been depreciated from 149.80 at the end of 2016, to 182 by the end of 2018, which tends to increase the nominal price of commodities helping offset part of the increase in wages. Sri Lanka's small holder tea farmers, who own farms and not driven by unions, produce the bulk of tea in the island now. Plantations firms are also trying out models involving contracting out fields. Tea is mostly exported and is subject to global demand and and also the underlying strength of the US dollar to which Sri Lanka's rupee is loosely pegged. The rupee however depreciates permanently due to the lack of a consistent monetary policy to support any exchange rate targeting. » Invest in HOTEL stocks; which is better AHUN or KHL, any other good stocks ? ?